The Cupcake Club learns that good leadership is a huge part of running a successful business—and friendship is the icing on the cake! 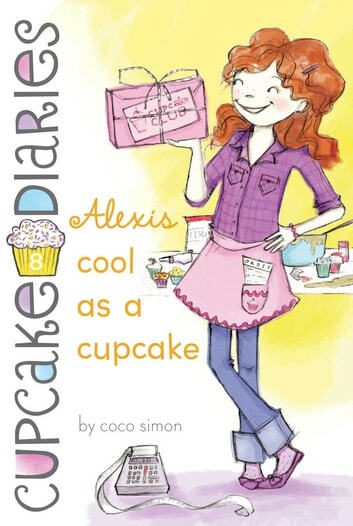 Alexis is the clear leader of the Cupcake Club: She’s organized, punctual, and happy to take on the stuff like scheduling, budgets, invoicing, and the things that the other girls don’t really want to do. In other words, the “unfun” things. But one day Alexis feels particularly unappreciated and informs the Cupcake Club that she is no longer in charge! After deadlines get missed and supplies aren’t bought, the girls realize they definitely need a leader….And Alexis realizes being the leader is kind of cool; as long as you know how to ask for help when you need it! This book was about how Alexis and her trying to be cool. If you have read some of the previous cupcake diaries books you would know Alexis has a crush on Emma's brother Matt. This book shows how frustrating it can be to be in middle school, but also how you should really act - cool in your own way. It expresses the true meaning of cool. If you are looking for an interesting and fun book to read, this book and book series is perfect for you!